One of the most important aspects of choosing a new home is convenience. Living in a remote area has plenty going for it such as peace and quiet, but one downside is that it may be away from important facilities such as shops and travel links. But if you select a property in close proximity to such facilities, then it's less of a worry. This is especially important for retired folks, who may not want to travel great distances just to get a loaf of bread, a carton of milk or a jar of the finest local wine. One thing to be aware of though is that close proximity properties can cost a bit more as a result of their position. But if you've got the money, then here are some super, close proximity retirement properties! 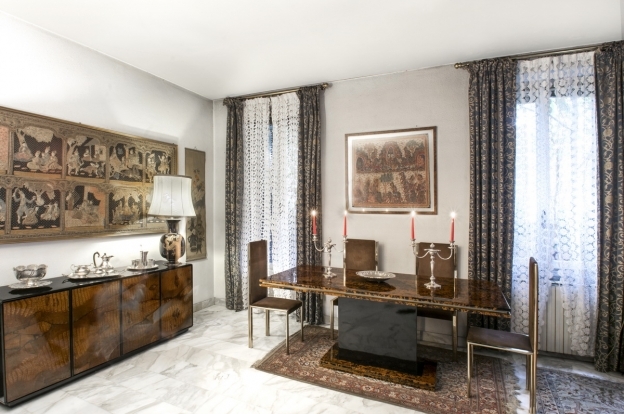 Close to: This luxury apartment is located in the heart of Ponte Milvio, a location that holds historical value. Ponte Milvio itself is the oldest bridge in Rome (constructed in 200 BC), and in addition, is said to be the location where Christianity prevailed. Today, the location is a bustling hotspot of shops, restaurants and bars – Met Bar and Il Chioschetto come highly recommended. The benefit of the apartment is that it's close to these and the historic city centre. Condition: Restored to a high standard, but keeping in with the artistic styles and values of the 1600s, complete with period flooring, frescoes and solid walnut doors. What you get: Looking for a bit of luxury in your retirement? Well, you won't go wrong with this stylish apartment, and with its frescoed ceilings and marble mosaic floors, you also get a sense of Rome's rich history and flavour for quality interior design. The apartment includes a lavish, large-scale lounge, kitchen, guest bathroom, and three bedrooms with two bathrooms. You also get a garage into the bargain. Although the apartment's on the fifth floor, don't worry, it's accessible by elevator. Like this article? 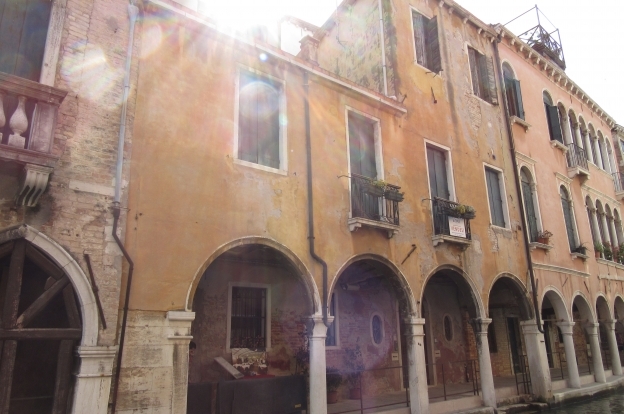 Read "Six Things to Consider Before Buying a Property in Italy." Close to: Only 30 minutes away from the train station and less than an hour away from the airport. Take a look out your window, and you'll be greeted with a lovely view of the canal. But one nearby place to see is the recently reopened Misericordia, the iconic 'Scuole Grandi'. 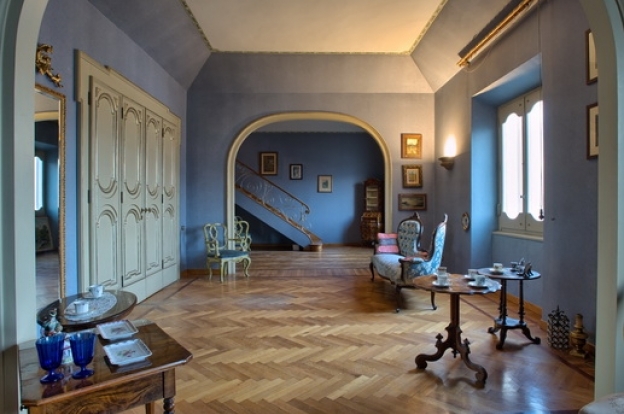 It recently underwent a rejuvenation, and is open to visitors, who can come in and admire some classic Renaissance-era frescoes. It's also a common spot for hospitality and social events. 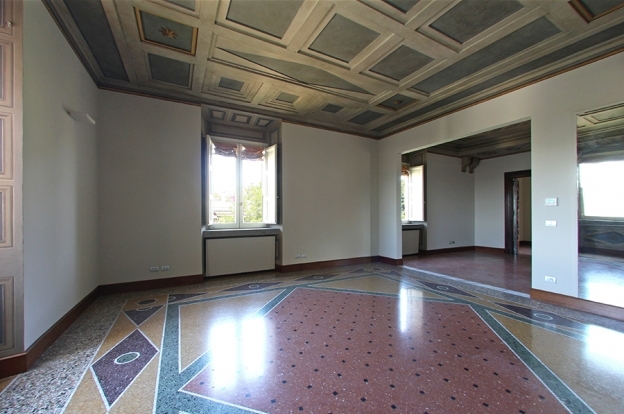 Condition: Of a high standard, with a flavour of Venetian architectural history, thanks to its unique design with exposed beam high ceilings and distinctly Venetian floors. What you get: Canal views and lush interiors aside, there's plenty of rooms to enjoy in this one, with a generous sized lounge, two impressively sized bedrooms, two bathrooms, two storage rooms and terrace. This apartment is only on the first floor, so not too many stairs! 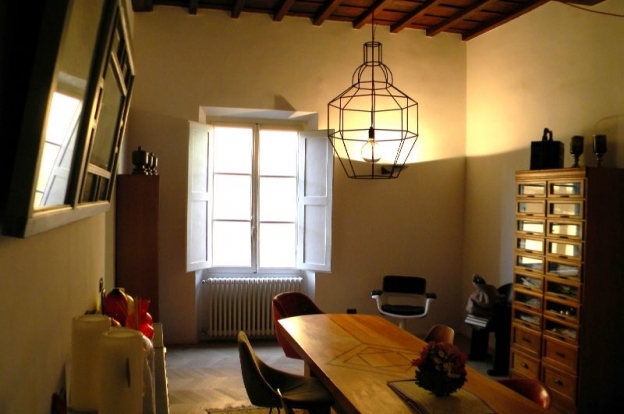 Close to: For convenience's sake, this apartment is in the heart of Florence's historical centre in Via delle Terme. It's a stone's throw away from the main square of Piazza della Signoria and the quirky shop-adorned bridge of Ponte Vecchio. If you're a dedicated follower of fashion, then Via Tornabuoni offers plenty of fashion boutiques for you to browse in. Condition: Very good indeed, with stylish decoration carried out by its current owner. The parquet floors and high ceilings, combined with the stylish furnishings, add up to a welcoming, high quality feel that makes for a very classy base to enjoy your retirement. What you get: Based on the third floor, you're getting a fair crop of rooms in this lovely apartment. You can enjoy some outside views through two beautiful windows in the lounge and cook up a treat in the renovated kitchen. A sleeping area boasts a main master bedroom with private bathroom and dressing room and a second double bedroom and guest bathroom. Close to: This is another property that's only a walk away from the main streets and amenities. It won't take you long to reach the likes of Corso Buenos Aires and Piazza Venezia, and furthermore, there are excellent bus, tram and train links making local travel as easy and convenient as possible. The Milan Linate airport is also close by, only 6 km away. It's an ideal property to choose if you're bringing along a youngster who's either about to or has just started a scientific-related degree. The University quarter is just 700 metres away, and includes the School of Engineering and other scientific faculties of the University of Milan (Veterinary Medicine, Nutritional Sciences, Pharmaceutical Sciences, Science and Technology and Motor Science). Condition: Perfectly fine. Requires a little maintenance work, but it's all good to go for you to move in straight away. What you get: This large-scale apartment is part of a grand stately home that even includes its own concierge. While the apartment is located on the fourth level of the building, a lift can take you up and down with no problems. The big lounge includes its own fireplace and balcony, and there's another balcony for you to relax on in the kitchen (maybe with a glass of the local wine!). The final balcony of the apartment can be found in one of the two bedrooms. There's also an impressive bathroom, and you can also access the cellar on the ground floor, which offers exclusive use for those in the building. Close to: The main historic centre of Perugia is only a short drive away and you can get there in just 10 minutes. The other benefit, location-wise, of this property, is that you're close to other medieval towns such as Assisi, Montefalco, Trevi, Spello and Todi. Plus, the local airport is close by, if you're looking to greet friends and family coming over for a visit. Condition: Tip top. 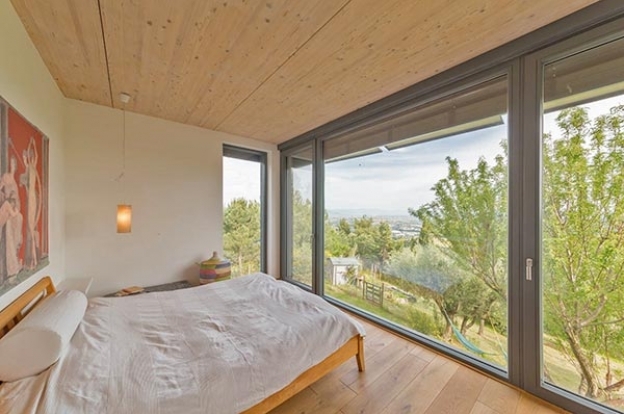 The purpose-built architecture house was constructed via timber frame with the best, certified, re-renewable materials, meaning that you not only get comfort in your living conditions, you're also getting an environmentally sound and healthy place that you can enjoy your retirement in. Facets of the building are cleverly designed with such comforts in mind, like the green roof which protects the building from overheating. What you get: This two-level house boasts all mod cons including a designer Valcucine kitchen and pantry, a study (with sliding doors), a lounge (which offers direct access to the garden), a night area (containing two bedrooms, bathroom, shower and closet), laundry room, utility room, and also a guest apartment which comes with its own private terrace. The garden is another impressive feature of this property, containing plenty of olive and fruit trees, a vegetable garden, and there's also a wooded area to admire. Close to: The main facilities of Ancona (including one of the key Italian ports, the Port of Ancona) can be accessed from this property. You're also close to the beach, the main shops and high streets, and again, it's a property that's close to the local airport (it's only 20 minutes away). One of the most famous local attractions is Conero Park. With its rocks, cliffs, beaches and spectacular views, it's the sort of location that was made for retirement: come here to get away from it all, and you're experiencing a little bit of paradise. Condition: Overall, good, although it does require a bit of updating in one of the bathrooms and in the technological systems. What you get: This apartment spans the fourth and fifth floors of the main building, with access again gained by a lift. The first floor offers a spacious lounge with a view overlooking the main square outside, a bedroom which includes its own study, and two bathrooms. Take the spiral staircase up to the next level, where you will find another bathroom, as well as three bedrooms, a kitchen, a dining area and four compact storage rooms. Close to: Although you're based in the countryside and surrounded by private land of more than five hectares, Villa Dalia is still close enough to where you want to be for shops and amenities. Terni's only 3 km away, and other locations such as Narni and Spoleto are accessible by wheels in under half an hour. Rome is only an hour away too. Location-wise, with its countryside surroundings but close proximity to the motorway and other locations it's a property that allows you have your cake and eat it. And you'd probably get some great cakes from the bakeries in Terni, too. Condition: It's a relatively recent build, having been constructed in the '90s, and has been carefully maintained over the years. What you get: Apart from the immediate peaceful surroundings of the country, this three-level villa has a lot going for it on the inside too. The living area is located on the ground floor, and features a lounge with fireplace and a sitting room that provides excellent views of the outside valley. You'll also find a dining room and kitchen, as well as sleeping quarters that includes a bedroom/studio, two terrace bedrooms and three bathrooms. Up above, you've got a good sized bedroom with bathroom. Below, in the basement, is a spacious cellar, a kitchen, and a bathroom. You've also got your own garage which also contains its wine cellar, and if it's a quick dip you're after, then it's into the swimming pool with you!